Early variety with purple skin and flesh with good resistance to blight. 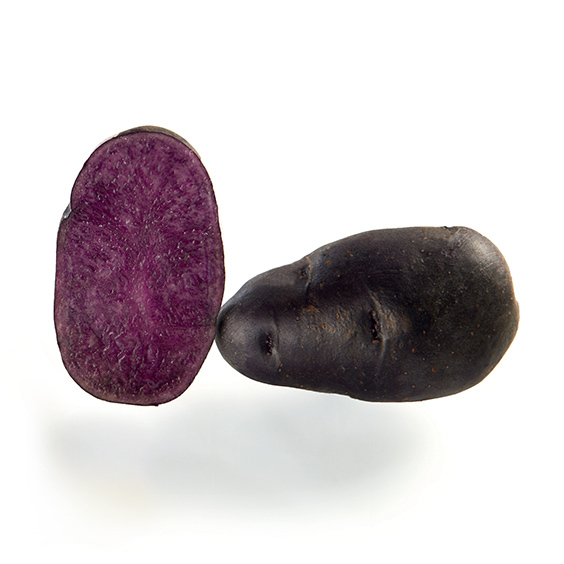 Numerous tubers of medium size with excellent skin. Resistant to silver scurf, essential with this skin color.